Amazing view on the sea and Chora..beautifull sunrise, really nice room and excellent hosts! Great location, looking down to the bay and Livardi. Someone came in to remake bed and clean everyday which I wasn't expecting, but was very nice. Really well thought out furnishings and very comfortable. 1. View is stunning. 2. Host is wonderful and helpful. 3. Place is immaculate - comfortable, clean 4. You need a car - which is great, because you need one anyway to explore the beautiful island. Wonderful relaxing place with an amazing view. Clean, comfortable and stylish , not far from the port and main town. Dimitris was very helpful and kind and helped organise things for us on more than one occasion, making our stay fantastic and stress free! Thoroughly recommend! 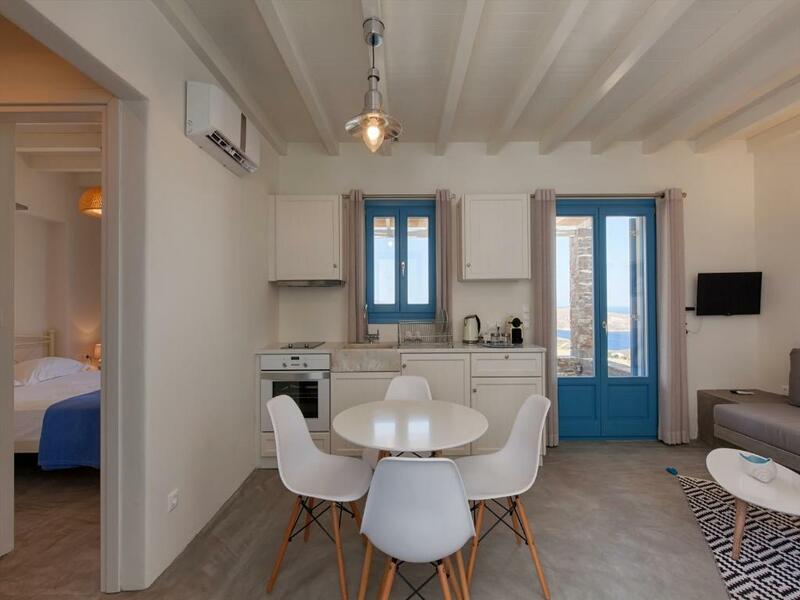 Super new, super clean, super comfortable, fully-equipped apartments with the best view to Chora and the port -which is only 5 minutes away. A lovely stay! Everything was amazing. Dimitris is a great host. The room was very clean and comfortable with a great view to the port. I strongly recommend it. Very close to the main village as well as the harbor, yet an oasis of peace and quiet with a wonderful view. Well designed, very comfortable accommodation, beautiful view. The daily cleaning was great! Lock in a great price for Serifos Blue – rated 9.4 by recent guests! One of our best sellers in Rámos! 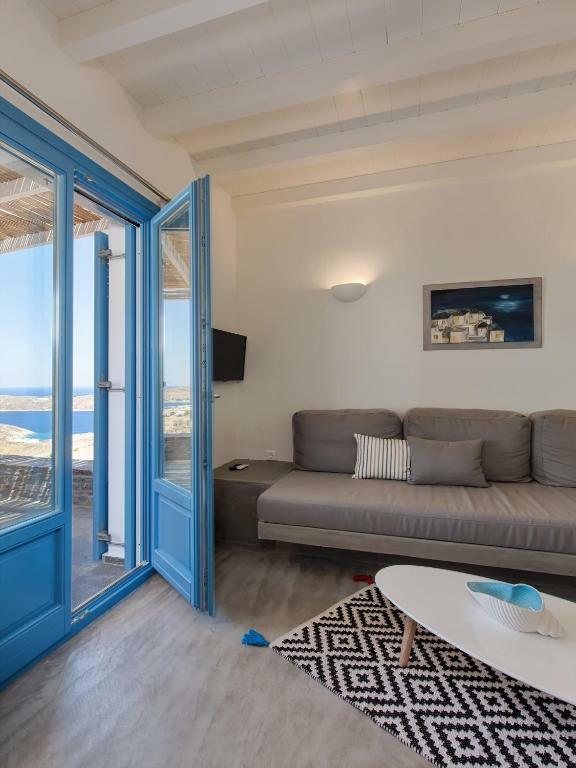 Featuring free WiFi, Serifos Blue offers pet-friendly accommodations.Free private parking is available on site. The accommodations has a flat-screen TV with satellite channels. Some units feature a terrace and/or balcony with sea views. There is also a kitchen, fitted with an oven and fridge. A stovetop and coffee machine are also featured. Each unit comes with a private bathroom with a shower, bathrobes, and slippers. 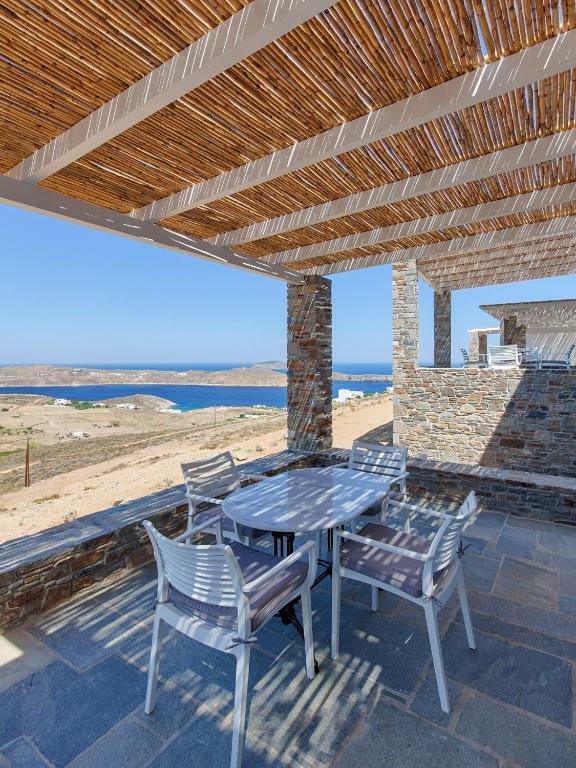 Towels are provided.Serifos Blue also includes a barbecue. 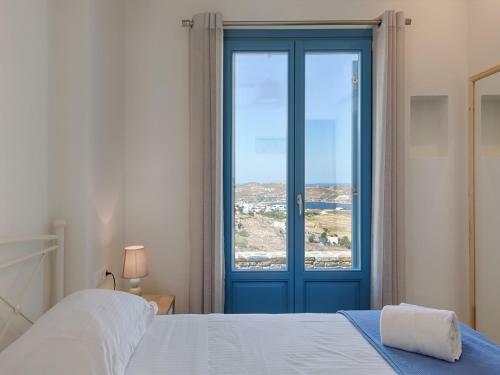 When would you like to stay at Serifos Blue? Μολις 5 λεπτα απο το λημανι της Σεριφου,σε μια ερημικη πλαγια με θεα τη θαλλασα βρισκεται το Serifos Blue.Η διαδρομη των 1300 μετρων ειναι στον κεντρικο δρομο του νησιου απο το λημανι προς το Μεγα Λιβαδι και τα τελευταια 200 μετρα ειναι σε χωματινο εδαφος. Το SerifosBlue βρισκεται μετα το χωριο Ραμος.Οτιδηποτε χρειαστει καποιος ( μινιμαρκετ , φαρμακειο κλπ) θα πρεπει να μεταβει στη περιοχη του λιμανιου,το Λιβαδι, καθως η περιοχη δεν παρεχει κατι απο αυτα. House Rules Serifos Blue takes special requests – add in the next step! Serifos Blue accepts these cards and reserves the right to temporarily hold an amount prior to arrival. Please note that in order to reach the property guests have to drive on an unpaved road for 650 feet. Please inform Serifos Blue of your expected arrival time in advance. You can use the Special Requests box when booking, or contact the property directly using the contact details in your confirmation. The only thing we would suggest, would be the provision of beach towels. everything was petfect.. more than i expected it. a protection against the north wind would be convenient + only for the number 5 apartment -> a protection against the morning sunshine would be pleasant for coolest breakfast. Great location, great place, great people ! The location is just a bit too far from most restaurants and shops to be able to walk (especially if it is very hot!). But this can easily be solved with some form of transport (car, scooter). The road leading to the property was not great! The style and quality of the Hotel were great and provided a peaceful seclusion with a wonderful view. The genuine hospitality we received only added to the experience. Lack of coffee and cooking essentials (oils, salt, pepper, vinegar) - considering the apartment had a good size kitchen. The host was excellent. 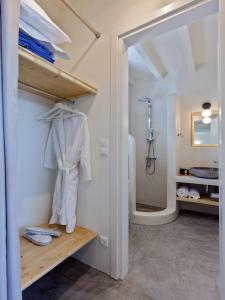 The rooms were clean, new and very comfortable. The room was bright and new and there was a wonderful balcony where you could relax after the sea. The host was very helpful and the check-in and check-out were very easy. Would definitely go back and recommend it to my friends! 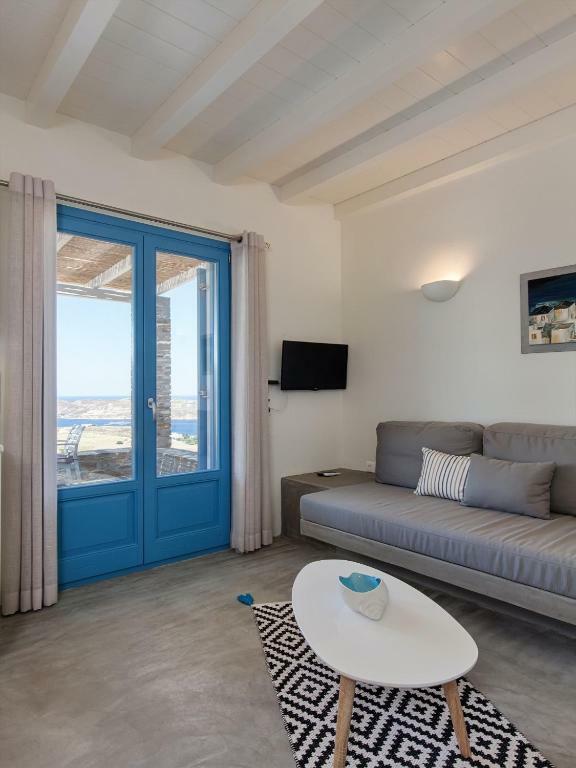 Wonderful apartment to stay in with a gorgeous view of Livadi and Chora. The staff were very friendly and helpful. Can’t wait to visit again!